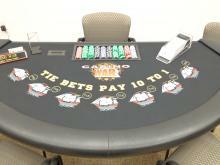 This one is almost identical to our 40′ version, lacking only the first set of pop-ups. 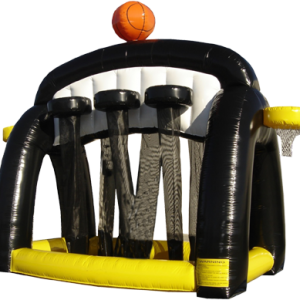 It’s perfect for backyard parties when combined with a standard bouncer! Great for keeping lines moving, and its versatility makes for a huge fun factor. 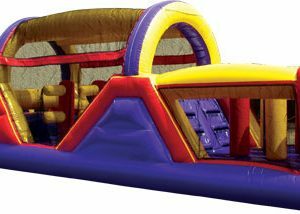 Whether you have to entertain 100 3rd graders or just a few high-schoolers, an obstacle course is a terrific choice. 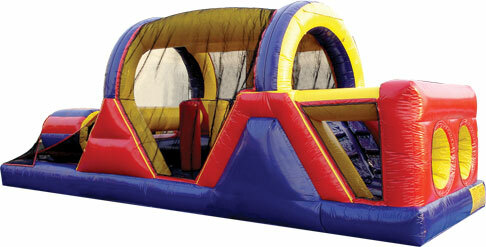 Our 27′ long Slip ‘n Slides are by FAR our most popular item when the temperatures soar each summer. Add just $65 if you want us to take care of Delivery, Set-up, and Tear-down. 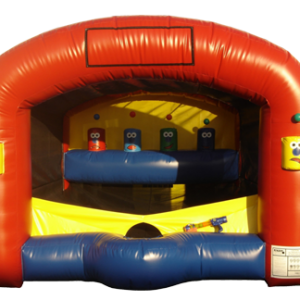 This inflatable midway game puts a new twist on an old classic. Participants try to knock hovering plastic balls out of place. Awesome! Tired of the same boring “Basketball Double-shot”? How does EIGHT baskets sound? 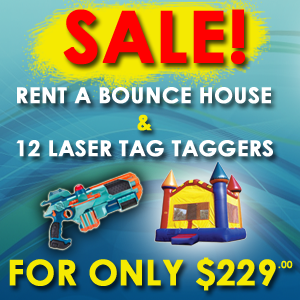 It sounds like four times the fun, if you ask us! Perfect for larger crowds.